With demand for holiday rental accommodation in Spain during Easter week this year increasing by 29% compared to 2012 according to the Spanish holiday rental portal, Homeaway.es, this summer is set to be a sizzler! Indeed Mallorca is one of the great European playgrounds drawing in sun seekers from across the globe. Over 6 million tourists visit this Balearic Island each year and on a busy summer day, hundreds of flights land at the Palma airport and the harbour is bustling with cruise ships. This sun drenched island has long been a popular port of call for cruise liners and an extension of the pier will accommodate not only larger ships, but also more vessels. Around 1 million passengers come to Mallorca by sea each year and Palma’s port is expecting around 449 cruise ships to visit the city in 2013. Cruise ships visiting Mallorca offer exciting shore excursions that include tours of Palma de Mallorca, the big, bustling capital city, home to about 300,000 people, with most of the tourist action in the old part of town around the Cathedral and trips to secret natural coves with secluded beaches. For the adventurer, you can explore small traditional fishing villages, as well as places to hike for amazing views, Mallorca has it all! With this in mind, the natural beauty and popular social programme of the island means that demand for accommodation over the summer period especially increases, with properties close to marinas becoming highly desirable. But it’s not only the presence of cruise ships, a number of sailing events such as the Super Yacht Cup race, one of the most significant luxury sailing events in Europe, which takes place annually across Mallorca’s stunning shores, further aides Mallorcan property investor confidence. For property investors looking to cash in on Mallorca’s thriving cruise ship industry as well as an abundant year round sailing events programme, Taylor Wimpey de España has some stunning affordable properties on offer. The Cala Magrana III development boasts a privileged position in a natural paradise with extraordinary sea views, just 600 m from Cala Anguila beach. These stunning properties costing from just 190,000€ consist of two-bedroom apartments designed to reflect the beauty of the surrounding area. Cala Magrana III is just 58 km from the international airport of Palma de Mallorca in Spain with easy access to the main European cities. Once you have arrived in Mallorca, in just 50 minutes you can be relaxing on your terrace and listening to waves break against the shore. 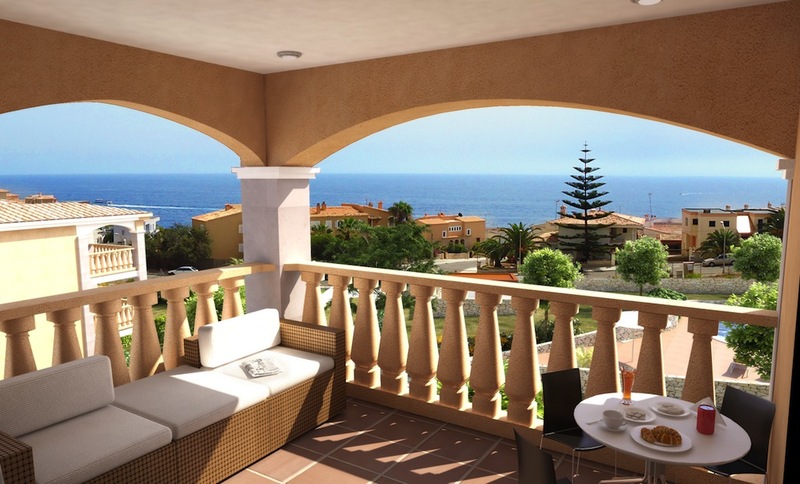 Another Taylor Wimpey España development, El Puerto II property is located in Cala d’Or on the island’s south-eastern coast, close to the glamorous Marina de Cala D’Or. The high standard of design is clear, with the spaciously appointed apartments offering private gardens or sun terraces, along with three communal swimming pools surrounded by generous landscaped gardens. Prices start from as little as €149,500.